Copyright © William C. van Laer, 2008 - This image is copyrighted. Unauthorized reproduction prohibited. Note: Rutilated Quartz is not listed in our database for this locality. This specimen may be misidentified or the mindat list of rocks and minerals at this locality may be incomplete. 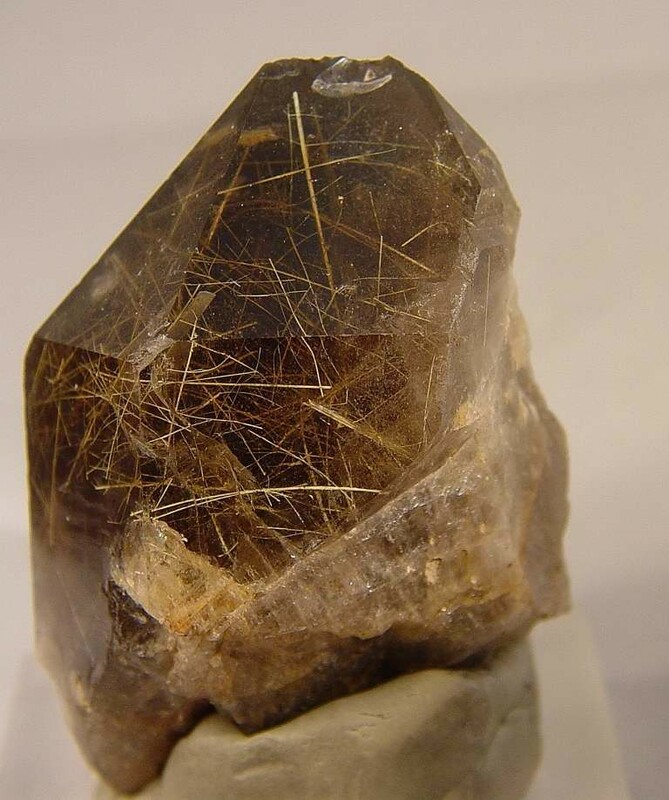 Smoky quartz crystal with numerous inclusions of acicular rutile; found northwest of Goldflint Mountain in the Homestake Pass area of Jefferson County, Montana. Also found in the same pocket were dark green tourmalines. This specimen measures 7.2 x 4.7 x 4.1 cm. overall; self-collected. Photo by Mike Gobla.